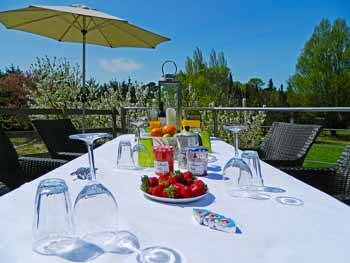 Languedoc – Villas in Beziers - South France Villas has been dedicated to providing self-catering accommodation in beautiful high quality Villas in Southern France for over a decade. 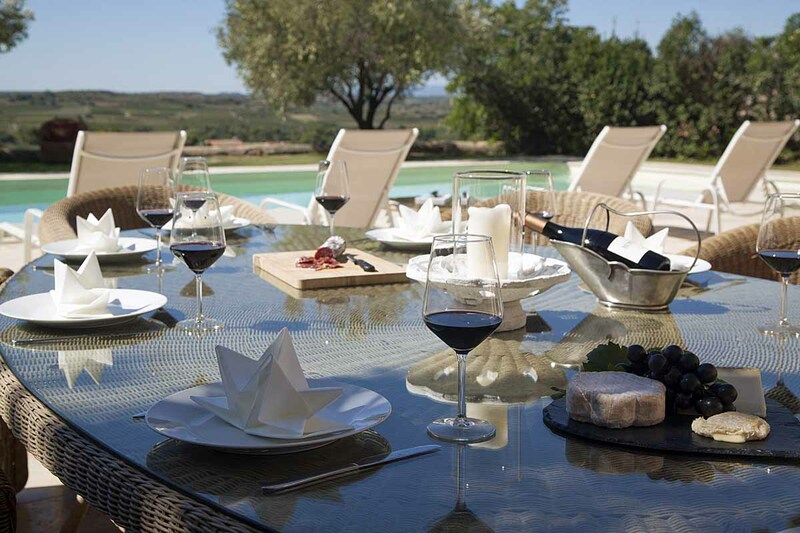 We personally hand-pick and visit the finest quality holiday Villas near to Beziers to ensure that you have a wonderful experience in the South of France. Our expert knowledge of the Languedoc region enables us to personally assist you in your search of the perfect location for your holiday – whether you are looking for a holiday home in the Languedoc for an action-packed family vacation, a quiet romantic getaway in a pictureqsue rural setting, wine-tasting in top-quality vineyards or a taste of culture and history! Renting a luxury villa in Beziers also acts as the perfect base for exploring the whole of Languedoc. Why not check our 'how to get there' guide., or please feel free to give us a call to discuss your plans. South of France holiday villa to rent for 2 or 3, near St Chinian, Languedoc with a 12m x 6m Swimming pool, large garden, air con and Wi-Fi. Ideal for honeymoons in the South of France! 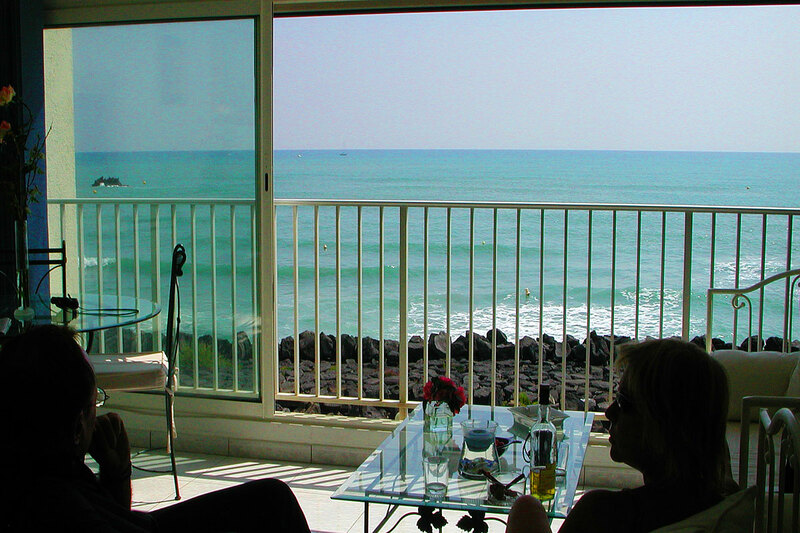 Cap d'Agde, South of France a high quality seafront holiday apartment to rent in with great sea views, facing the Mediterranean Cap d'Agde beach, and close to the Avant Port yacht marina. Ideal for a couple, but can sleep 4 in 2 bedrooms. Can be rented by the month as well as weekly! Private Holiday Cottage, ideal for friends or a small family, on an Exclusive Domaine, set within vineyards and dominated by a spectacular chateau. This luxury holiday cottage has air conditioning, a private heated pool and a large garden bordering the vines. On site restaurant, spa, children's club and large heated infinity pool. Flexible arrival day. 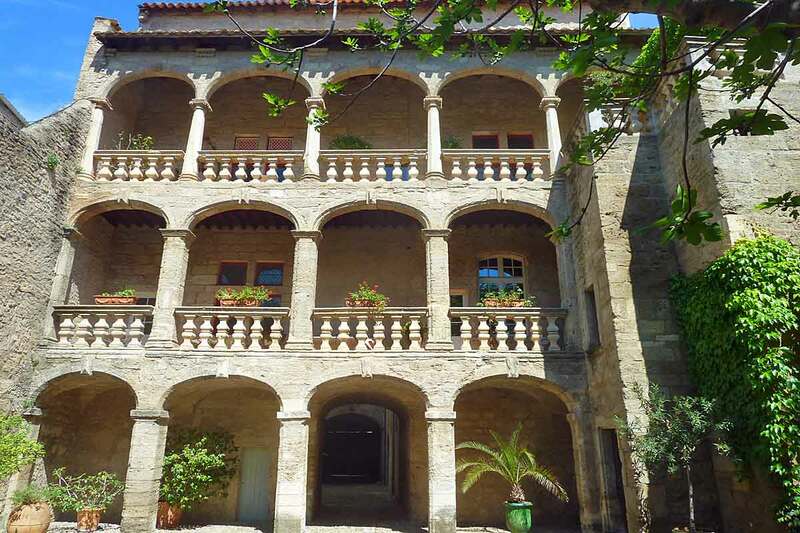 Magnificent apartment in the heart of Pezenas, South of France, sleeping 2-4. Located in a magnificent 16th Century building with a wealth of charm and character only 2 minutes' walk to cafes, bars and restaurants. Ideal for a Romantic Getaway or Honeymoon! Flexible arrival days, minimum 3 nights rental. South of France Holiday Villa with an amazing infinity pool, summer kitchen, stunning views all the way to the Pyrenees, Peaceful and calm yet only 6km from the famous wine village of Faugeres, Languedoc, 40km to beach, sleeps 4 people in 2 bedrooms. 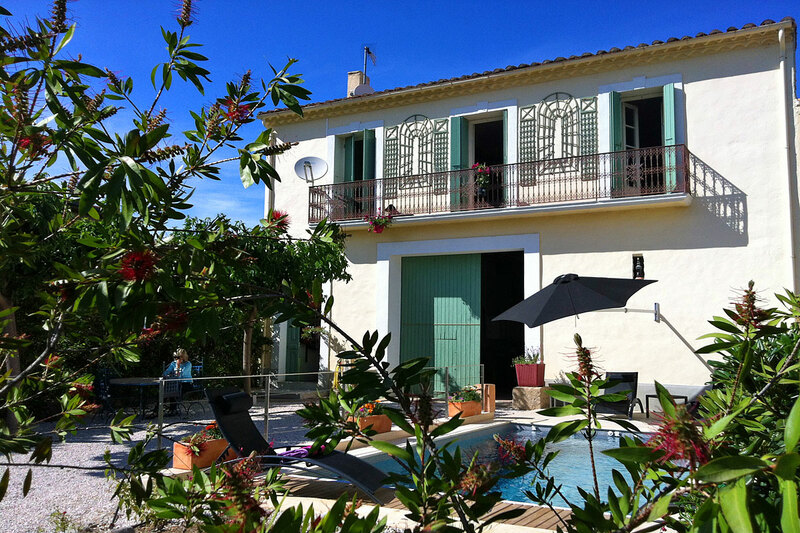 In Languedoc, South of France, an 5* rated attractive Maison Vigneronne near Pezenas for holiday rentals. Sleeping 4 people in 2 bedrooms, a private heated pool, Wi-Fi, air-conditioning and within walking distance of the village. Great for couples. Flexible arrival days and Short Breaks possible. 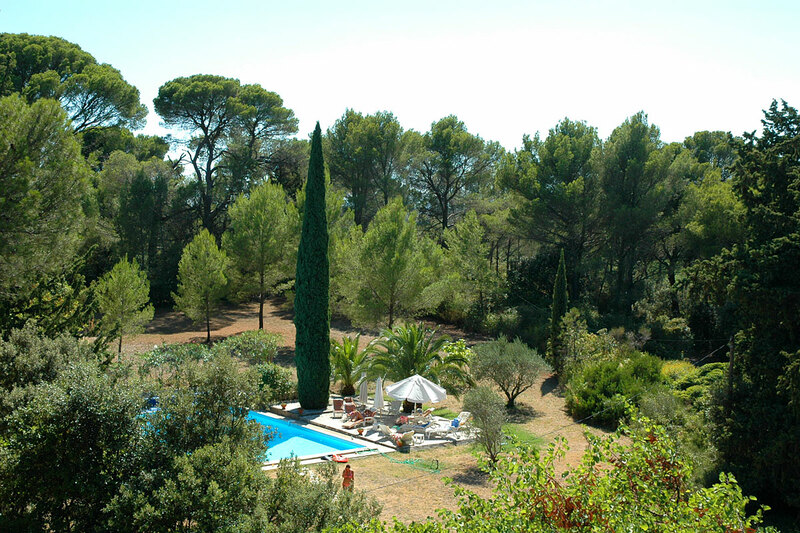 Superb South of France Chalet in a private residence just 50 mts from Frontignan beach. 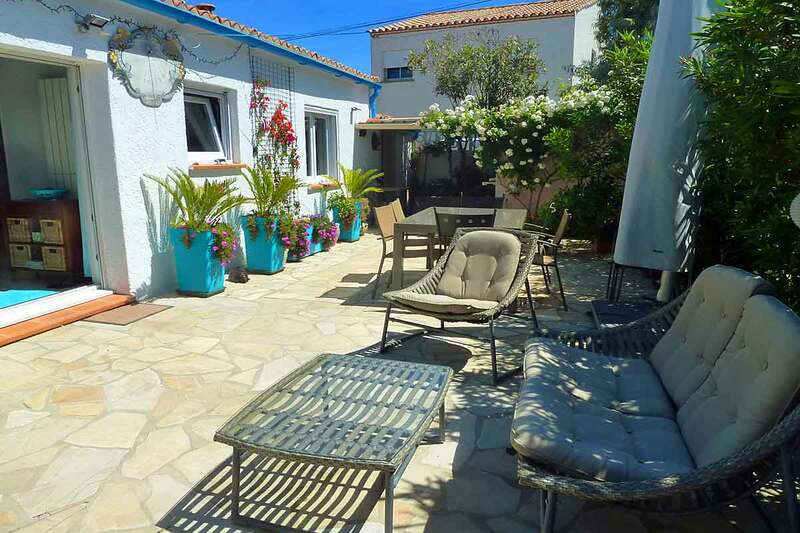 It sleeps 4, has air con and is only 600 mts to a boulangerie and small supermarket and just 8km to the popular fishing port of Sete in Languedoc. Great family holiday location. Unique South of France stone property newly restored from an ancient 18th century 'Orangerie', full of contemporary esprit with a highly designer feel. 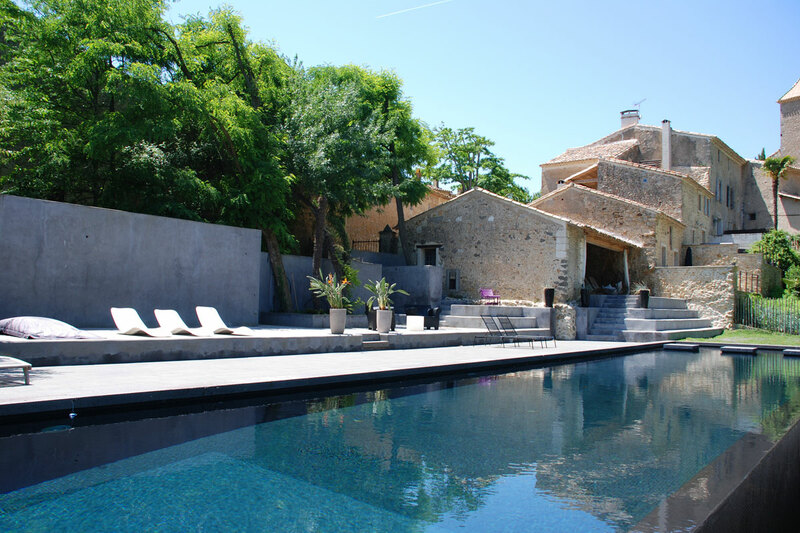 Set in an 8 hectare Chateau Estate, in the Languedoc, it sleeps 6 and has a black basalt private heated plunge pool. Ideal for honeymoon retreats or weddings as part of Occitania property Ref: HE097A. As Featured in the Sunday Times! 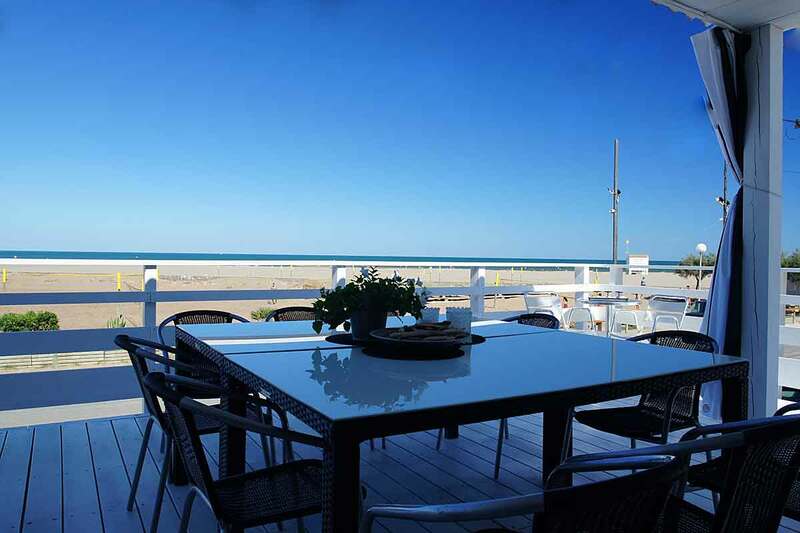 Languedoc-Roussillon holiday villa on the beach, this beachfront chalet situated on Gruissan plage near Narbonne, South of France has 3 bedrooms, beautifully decorated, an amazing living area and large terrace overlooking the Mediterranean sea and beach. Flexible arrival/departure days! 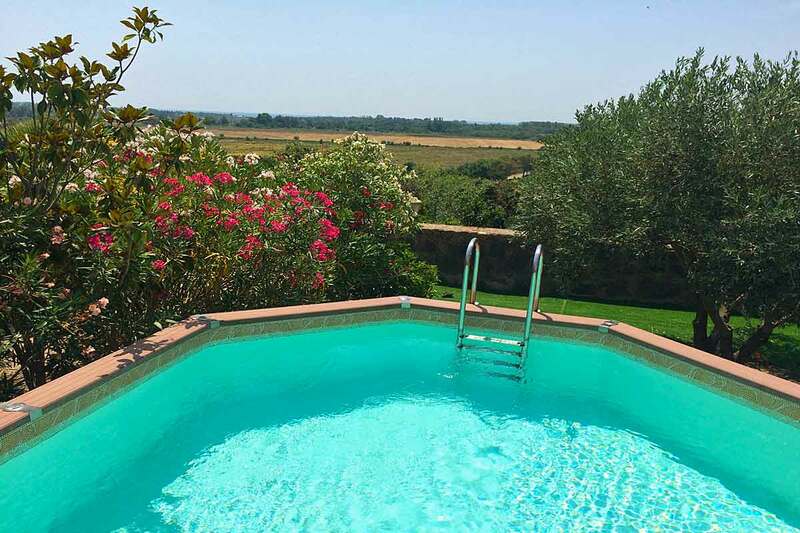 South of France villa, near Beziers in the Languedoc, this 3 bedroomed Holiday Villa near the Canal du Midi has a private swimming pool and large garden. It sleeps 6, is Air-Conditioned throughout and has Wi-Fi. 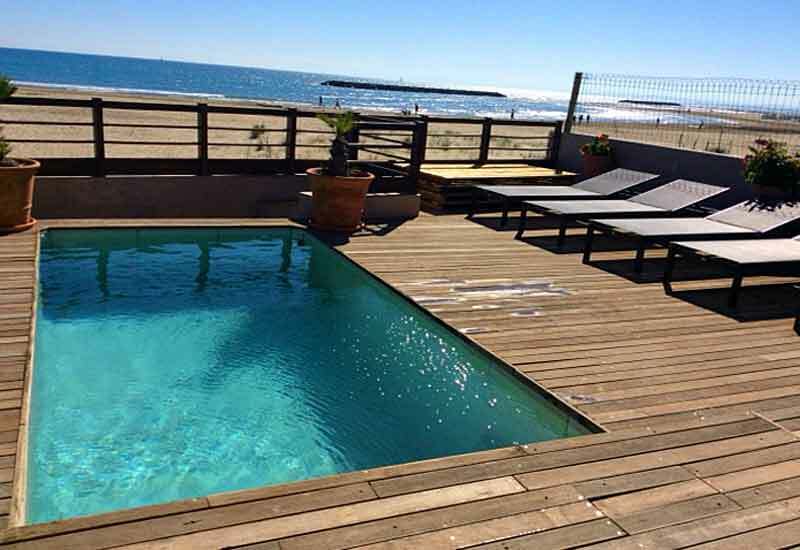 South of France, a beachfront luxury modern villa with heated pool, large garden, 3 Bedrooms and Bathrooms and partly air conditioned in a dream-come-true position in Grau d'Agde with steps leading down to the beach. 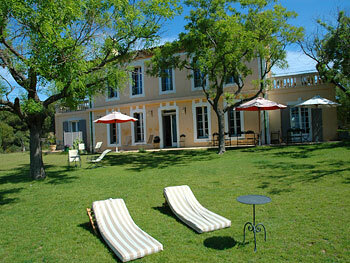 Luxury South of France Villa set in Languedoc Vineyards. Private Holiday Villa on an Exclusive Domaine, set within vineyards and dominated by a spectacular chateau. The Luxury holiday villa has air-conditioning, private heated pool, and the most amazing views. On site restaurant, spa, children's club and large heated infinity pool. Flexible arrival day. 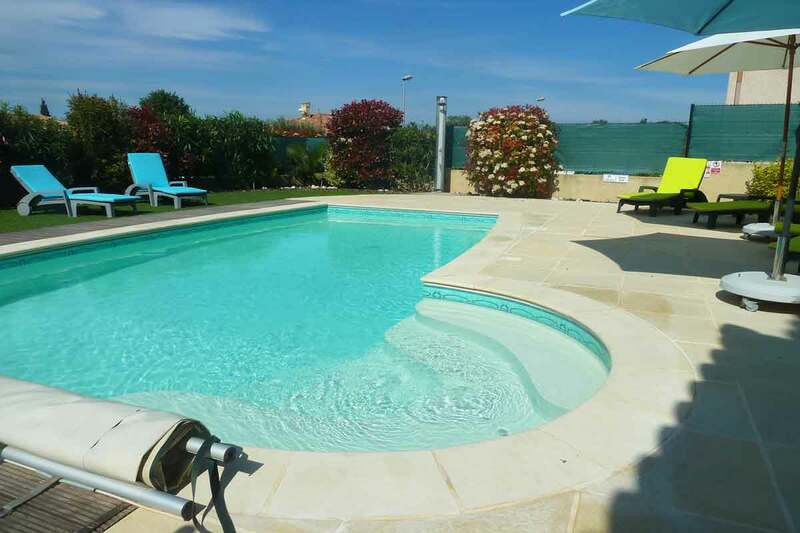 Lovely holiday villa to rent in the South of France, walking distance to a French village near Pezenas and Agde, 3 bedrooms, heated pool, air conditioning, plus outdoor Summer Kitchen and Wi-Fi. Short stays accepted. 4 night breaks in Low Season and flexible arrivals outside of peak season. 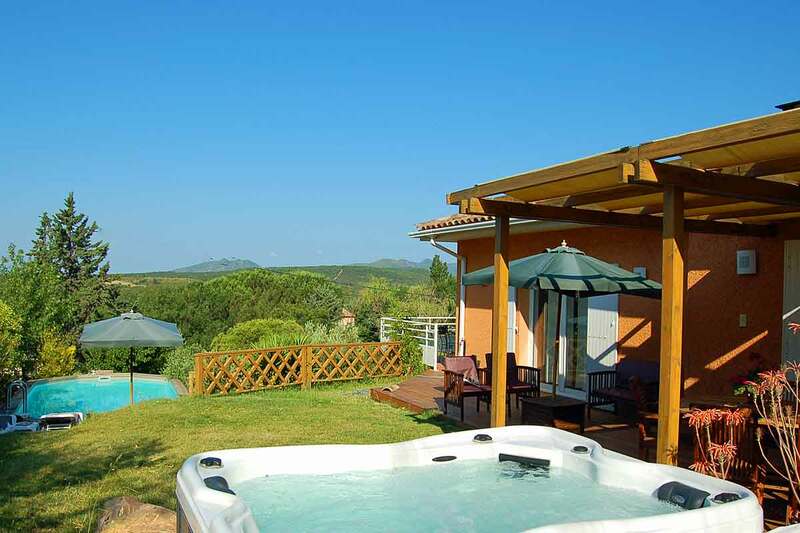 South of France Family Villa with pool, 3 minutes' walk from Autignac a typical Languedoc village with shops and bar - sleeps 6 in 3 bedrooms with pool and jacuzzi hot-tub. Surrounded by beautiful scenery and vineyards yet only 30km to the beaches. Languedoc Holiday Villa in the South of France, near to beach, 3 bedrooms, private heated pool, mature garden, Table tennis, BBQ, minutes' walk to village. 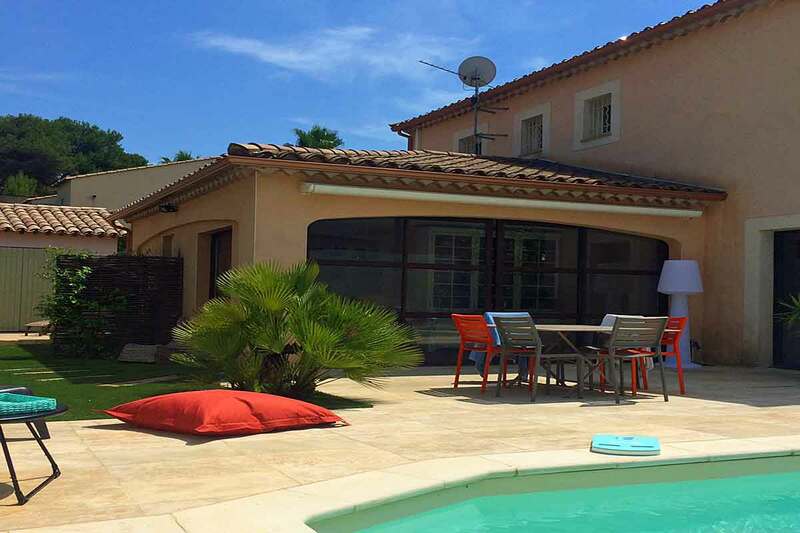 Lovely South of France holiday villa on a golf course near to Beziers and Pezenas and only 20 minutes from the Mediterranean beaches. The property has been designed for outdoor living and boasts 3 bedrooms, air-con, private heated pool, garden, terraces, summer kitchen and Wi-Fi. 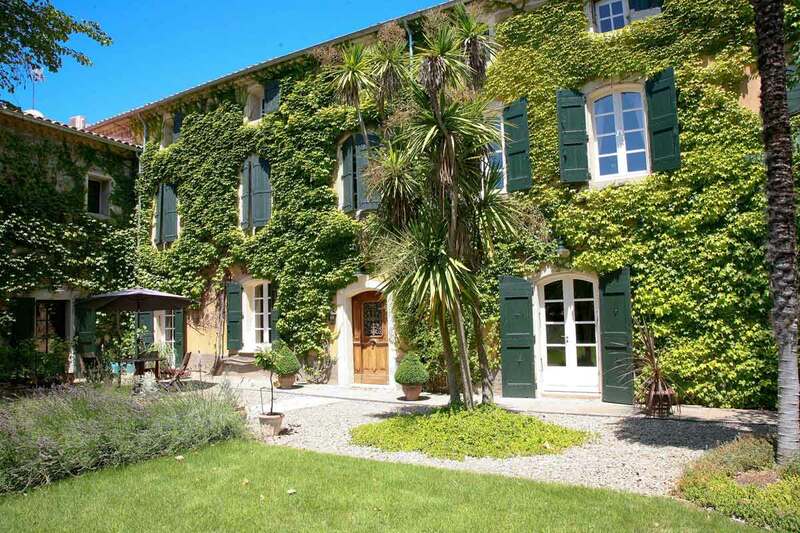 Lovely South of France character property to sleep 6, just steps away from the Canal du Midi. With 3 bedrooms, a courtyard garden, private pool, Wi-Fi and amenities only a short walk it is ideal for a family holiday. 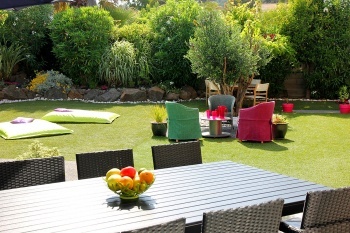 South of France Contemporary Holiday Villa to sleep 6 - walking distance to a great Restaurant in the Cave Co-operative. Fabulous South of France getaway - a stylish contemporary holiday villa in a village location near Pezenas, Languedoc, sleeping 6. Large garden, 10m x 5m pool (can be heated), jacuzzi-hot tub, gym equipment, Wi-Fi and bedroom air conditioning. 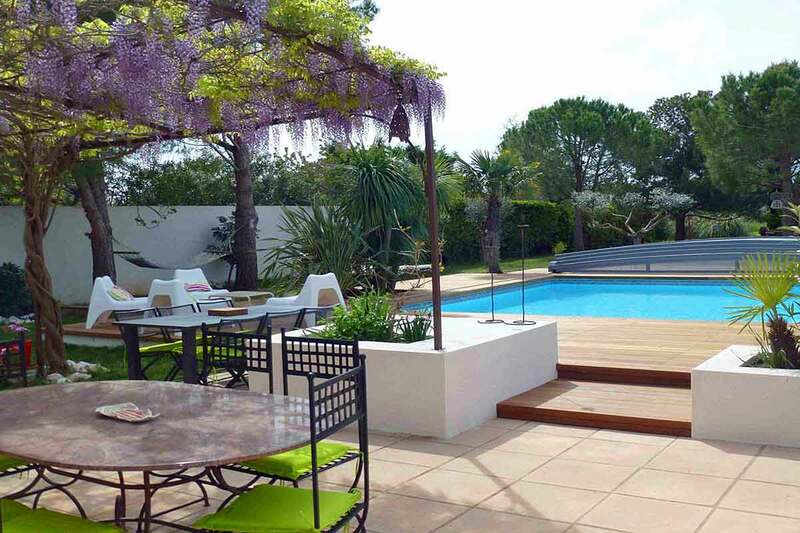 Architect-designed villa in the South of France with stunning garden, pool and summer kitchen. 3 en-suite bedrooms all air conditioned. 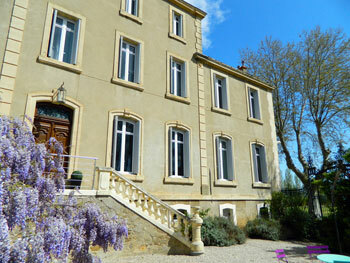 Walking distance to restaurants and shops and near to the colourful Languedoc towns and beaches. Private Holiday Villa on an Exclusive Domaine in the South of France, set within vineyards in the grounds of a spectacular chateau. This luxury holiday villa in Languedoc, has a private heated pool, bedrooms air conditioning and a large garden with sweeping views. On site restaurant, spa, children's club and large heated infinity pool. Flexible arrival day. 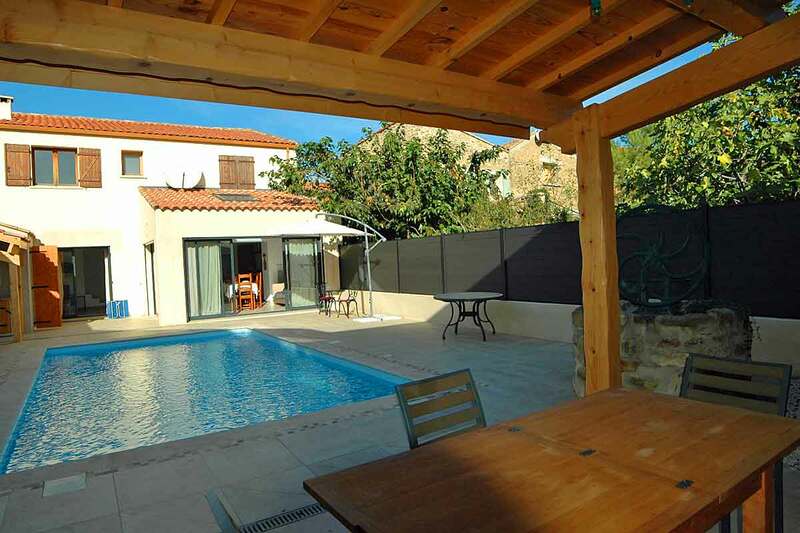 Pezenas Family holiday villa to rent, Languedoc, South of France, with partial air conditioning, private tennis court, large garden, pool, summer kitchen and Wi-Fi. Just 10 minutes' walk from Pezenas town centre. Sleeps 8, in 4 bedrooms with 2 bathrooms. Winter rental possible. Short breaks with a 3 night minimum stay possible!! Flexible arrival day off season, Sundays possible High season. 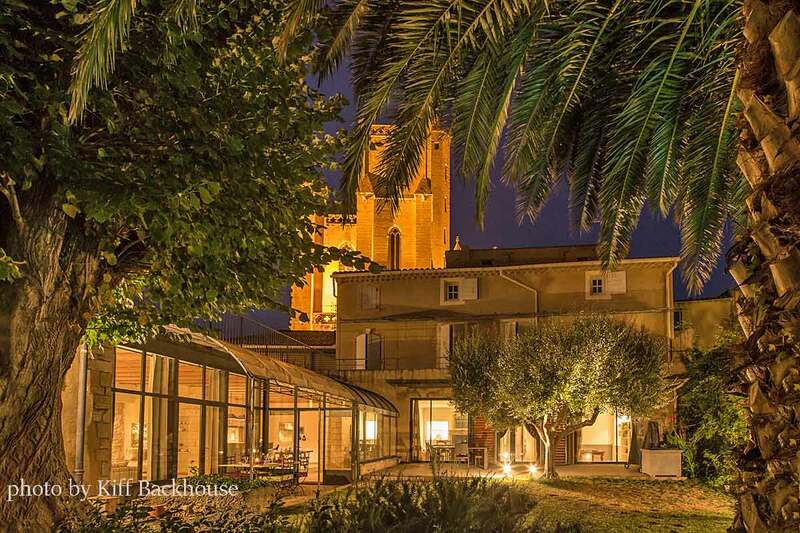 South of France holiday property, a renovated winery full of French character near to Capestang and St Chinian, Languedoc. Private pool and garden. Sleeps 8 in 4 bedrooms and 3 bathrooms. Discounts for 4 people or less in mid season. 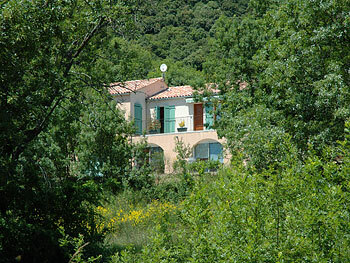 South of France, a beautiful, tranquil holiday villa to rent in the Haut Languedoc National Park. Private kidney-shaped pool set amongst lush scenery overlooking stunning Medieval ruins. There is Wi-Fi and partial air-conditioning. South of France Villa, contemporary open plan design in a calm neighbourhood of Cap d'Agde, Languedoc. Ideal for families - 4 good sized bedrooms, pool, private landscaped garden not overlooked, Air-Con, Wi-Fi. Close to beach, cafes, restaurants & supermarkets. Special Rate for 2 week bookings in July/August 2019 now Euro 6556!!! 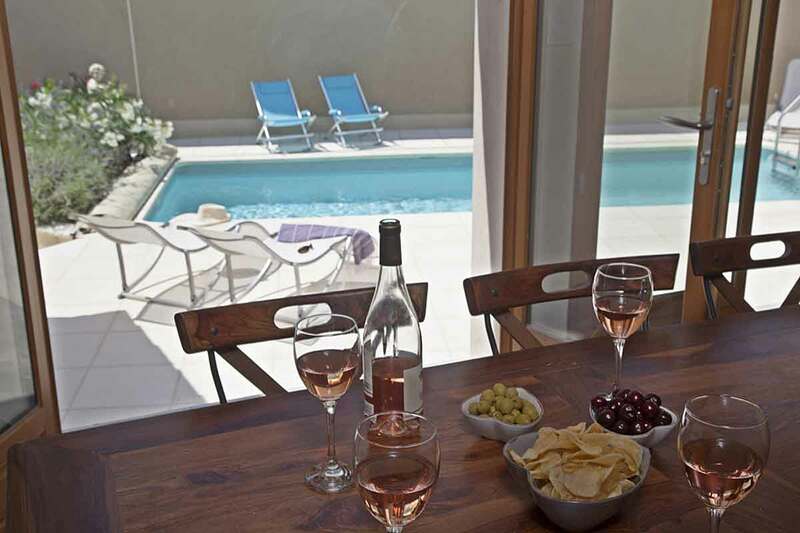 Languedoc Roussillon, South of France, luxury holiday villa, once a traditional winemaker's house it has been recently renovated and offers 4 bedrooms, air-conditioning and heated private pool. 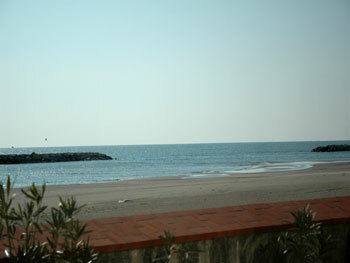 Walking distance to a village with restaurants and shops and less than 20 minutes to the beach. Arrival on 11 August is possible. Short breaks outside of summer please ask for details! 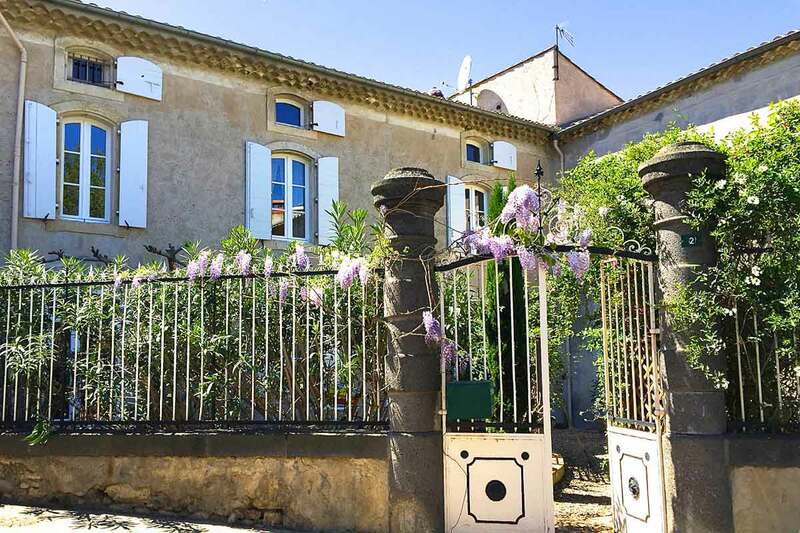 South of France holiday villa to rent in an attractive Languedoc village, not far from Beziers and the Mediterranean beaches. An ideal family getaway sleeping 6-8, with bedroom air conditioning, a heated pool and Wi-Fi, just 2 minutes' walk to restaurant/cafe and village shops. Special Prices for June & early July!!!! Flexible arrival days. Good Rates for Long Lets. 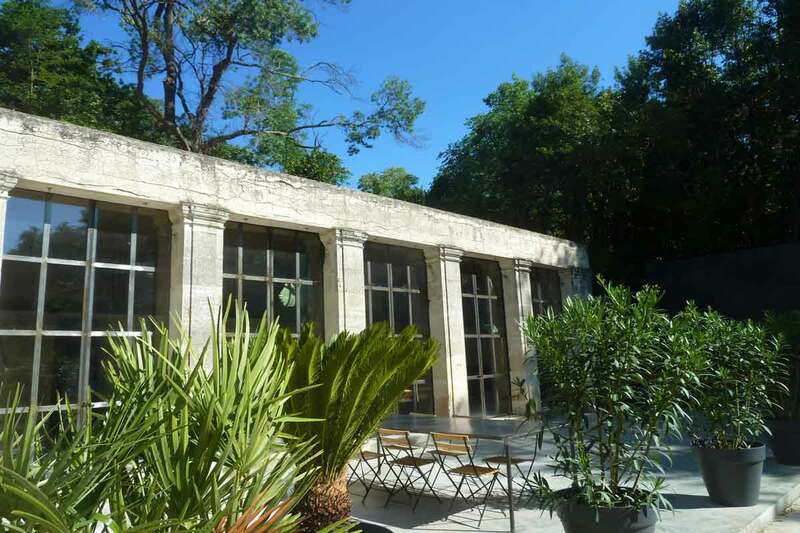 A beautifully renovated traditional French property, with a Boutique Hotel appearance. 3 bedrooms and 3 bathrooms in the main house and an independent Granny Flat with a bedroom, bathroom and kitchen. A plunge pool is the centerpiece of the Courtyard. Walking distance to Languedoc (Occitanie) village, with restaurant and bar and just 5 minutes from Pezenas. 4 Night stays from October to June. 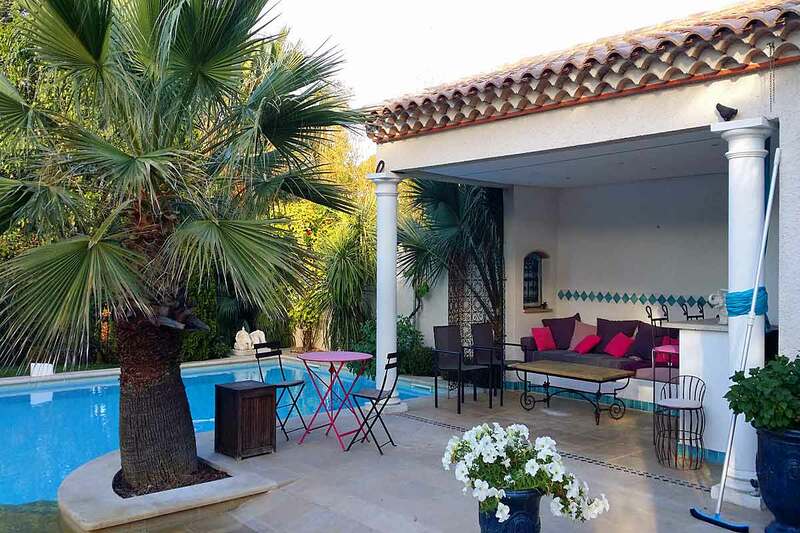 This South of France Villa near Beziers sleeps 8 in 4 bedrooms and is only 5 minutes' walk to the village centre with baker, cafe-bar and Tabac. With a large garden, private pool and splendid views across the Languedoc countryside it is a great location for 2 families holidaying together. 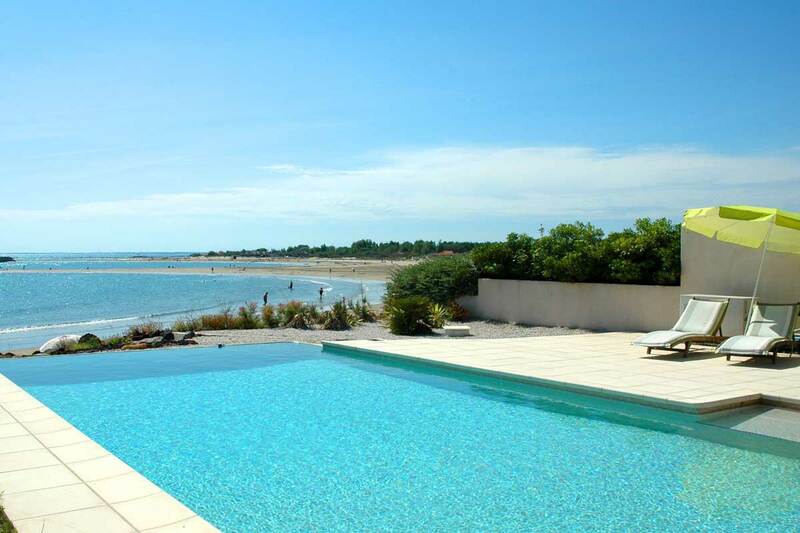 South of France Beachfront Villa near Agde in Languedoc, heated infinity pool. Modern, air-conditioned with spectacular sea views and steps leading down to the beach, this villa is only 20 minutes from Beziers airport. 2 Week bookings preferred for Summer 2019 - now available 1 week 20-27 July 2019! South of France beachfront villa with a terrace directly on the fantastic sandy beach at Valras plage, Languedoc. Near Beziers and the Canal du Midi. Sleeps 8 plus a baby in 4 bedrooms with 2 shower rooms and has Wi-Fi. 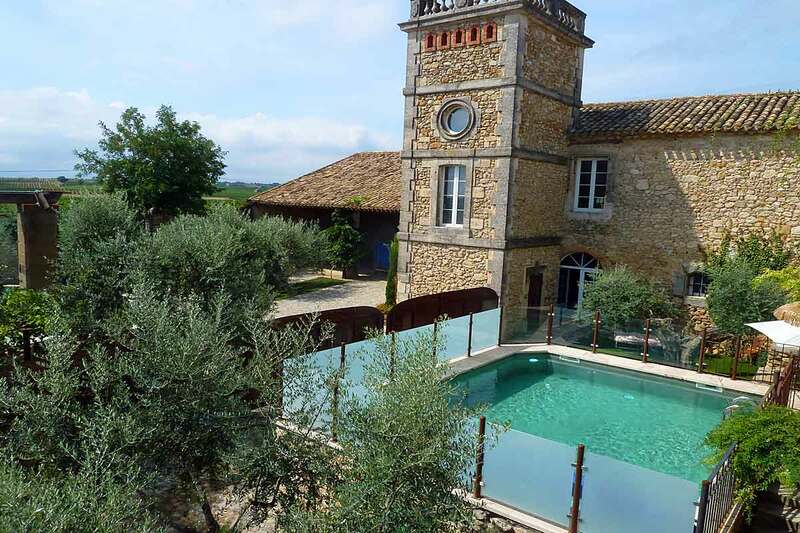 Delightful Wine growers house in the middle of a Languedoc village near Beziers, South of France, sleeps 8 in 4 en-suite bedrooms, private pool with pool bar and great views. 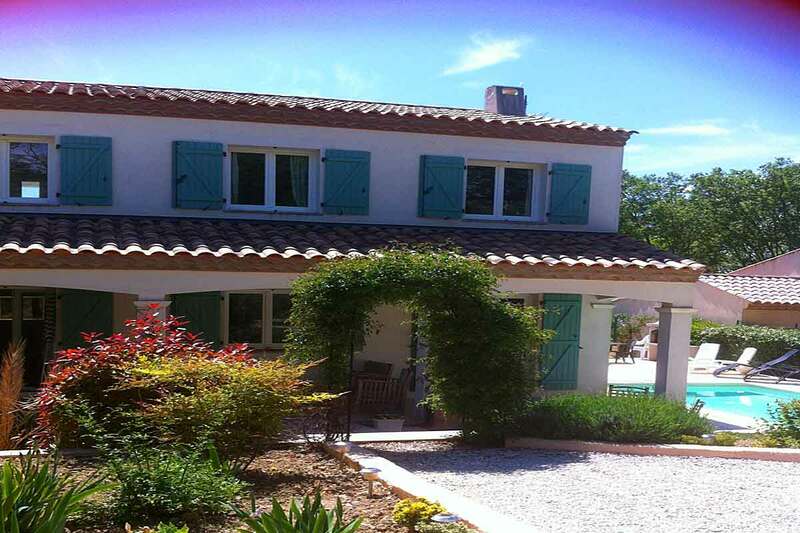 This South of France holiday villa set in the pretty village of Magalas sleeps 8. It has splendid views, full air-conditioning, Wi-Fi, private gated pool with summer kitchen, large garden and is walking distance to shops and restaurants. 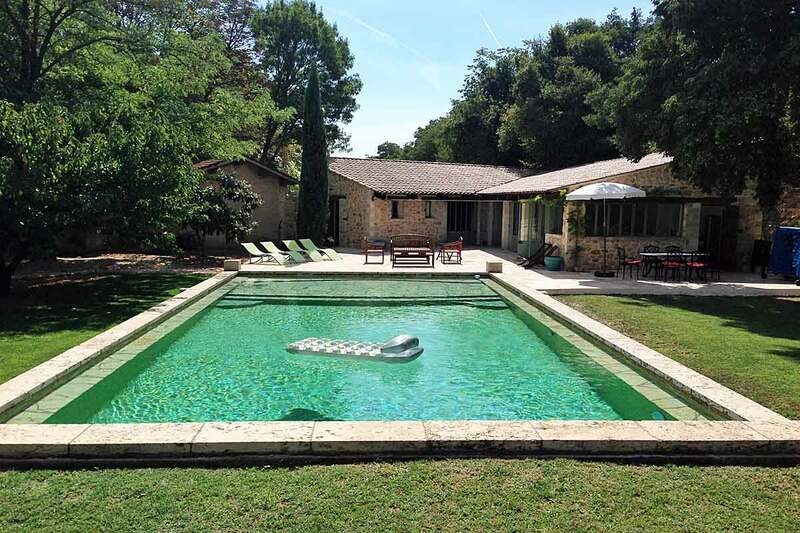 South of France contemporary and modern holiday villa to rent with a private heated pool, partially Air-Conditioned, 4 large en suite bedrooms, Summer Kitchen, large garden, expansive views and Wi-Fi. Traditional French exterior combining all you could want for that Holiday near Beziers, Languedoc. Flexible arrival/departure days and 4 night rentals possible outside July/August! 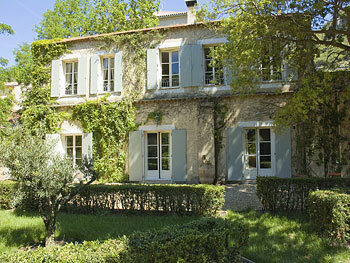 Large South of France Maison Vigneronne near Pezenas. Authentic and lovingly restored offering 5 bedrooms and 3 bathrooms, large heated pool with plage Californie, garden and walking distance to restaurants and shops. Great for family holidays in Languedoc. Superb South of France Chalet to rent directly on the Mediterranean beach at Rochelongue, near Agde in Languedoc with heated plunge pool! Stunning sea views, it sleeps 6 to 9 people. June availability 3-15 and August 24 - 14 September!!! South of France modern, spacious, air conditioned villa with wonderful sea views over the Etang de Thau. With 6 bedrooms, 3 bathrooms, heated pool and lovely gardens, it is ideal for 2 families holidaying together. Easy cycle to the beaches and walk to the pretty leisure port with restaurants and cafes. 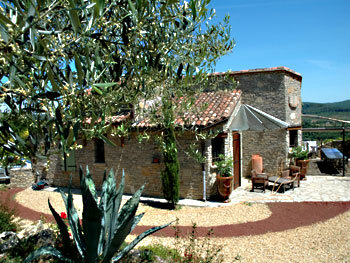 Authentic South of France holiday accommodation in a renovated Languedoc farmhouse. Sleeps 10 with partial air-conditioning, 5 bedrooms, heated pool and only 25 minutes to Mediterranean beaches. Friday arrival day. South of France - stunning, spacious state-of-the-art, luxury beach front villa with private heated infinity pool, sea views, watersports package, air-con, sauna, cinema and Wi-Fi. 5 mins from the lively port of Sete and its restaurants and 2 mins walk to beach. Sunday arrival. 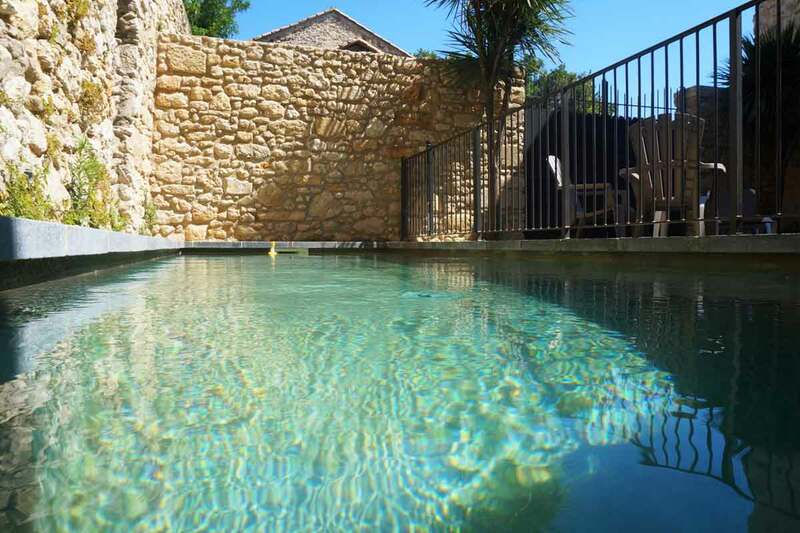 South of France holiday rental, beautifully restored farmhouse set in the picturesque village of Roquebrun, private fenced swimming pool, 5 bedrooms and 5 bathrooms, Air-Con, Wi-Fi, only a few steps from the river, walking distance to restaurants. Amazing summer deal! Short stays outside of July and August. 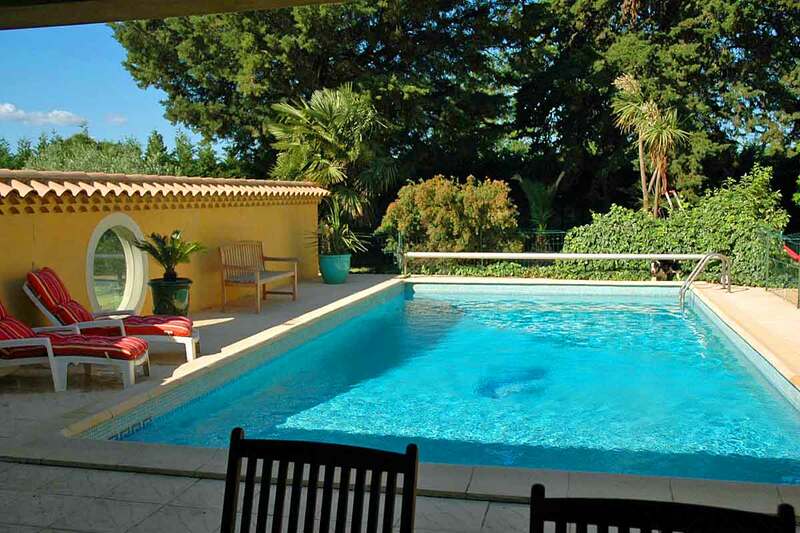 South of France holiday villa in Pezenas, just 5 minutes' walk from the town centre. Modern and private with large garden, pool, 5 bedrooms, air con in living area, Wi-Fi and just 25 minutes from the beach. Discounts for 6 people or less and flexible arrival. 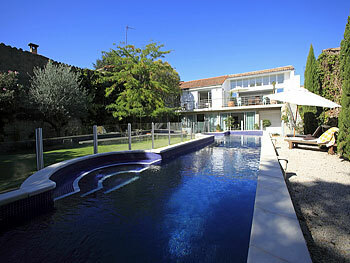 South of France luxury contemporary holiday villa in a typical wine producing Languedoc village. 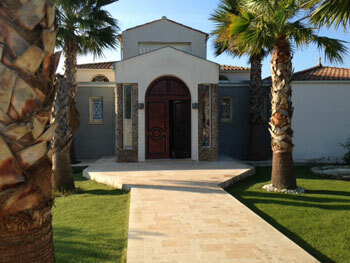 5 bedrooms, 5 bathrooms, heated indoor pool, jacuzzi, hamman, large garden and Wi-Fi. Luxury Spa retreat with large heated pool and hammam. Flexible arrival. South of France Holiday Villa near Portiragnes beach. 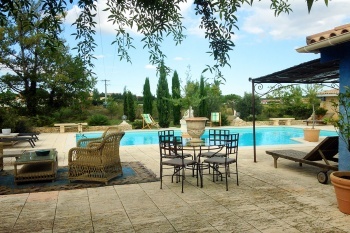 Set in a converted Wine domaine this property sleeps up to 12 has fenced pool, Wi-Fi and is just 8km from Beziers airport. Flexible arrival, short stays and discounts for 6 or 8 people outside of July and August 2019, Discounts for 2 week bookings all year. 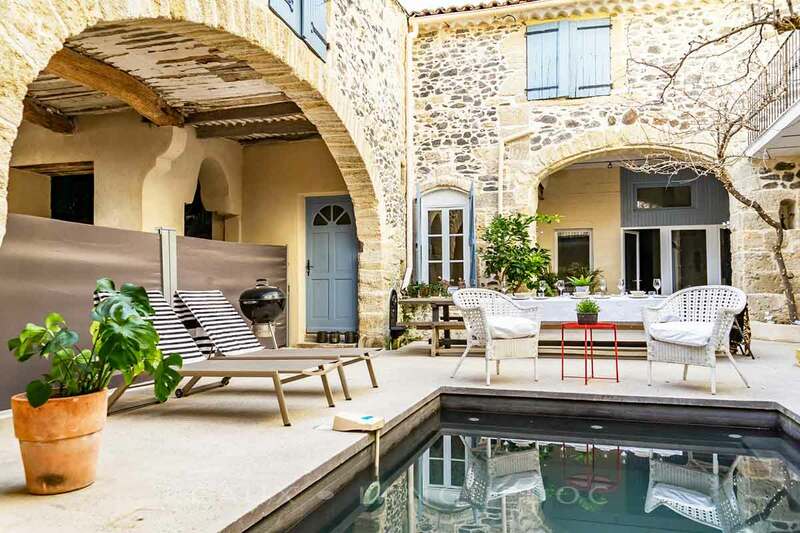 Family Holiday villa close to Pezenas, Languedoc, South of France, a Maison de Maitre, restored with great style, sleeps 12 in 6 bedrooms, heated, fenced swimming pool. 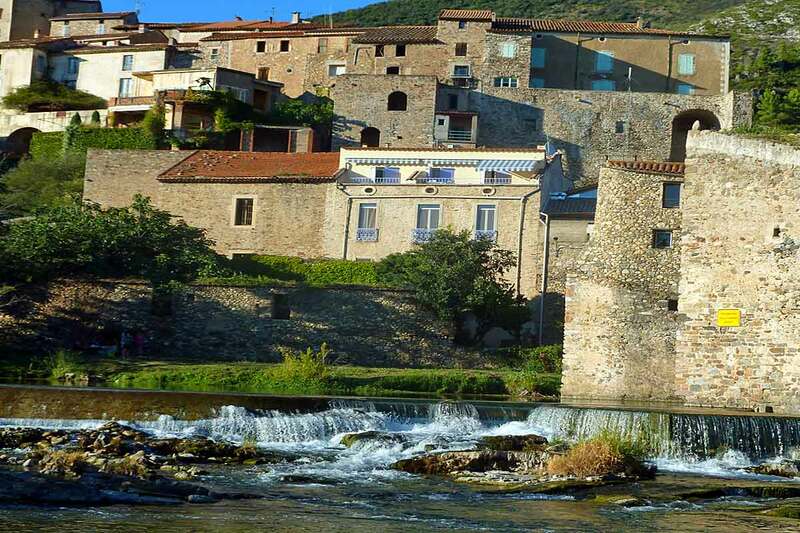 Situated in a typical French village on the river Herault. Flexible arrival day. South of France 'Maison de Maitre' or Manor, in the centre of a Languedoc village, with Restaurants and shops close to Beziers. With 6 bedrooms sleeping up to 12, a lovely garden with 10m x 4m gated pool, this fabulous house is great for 2 families holidaying together. 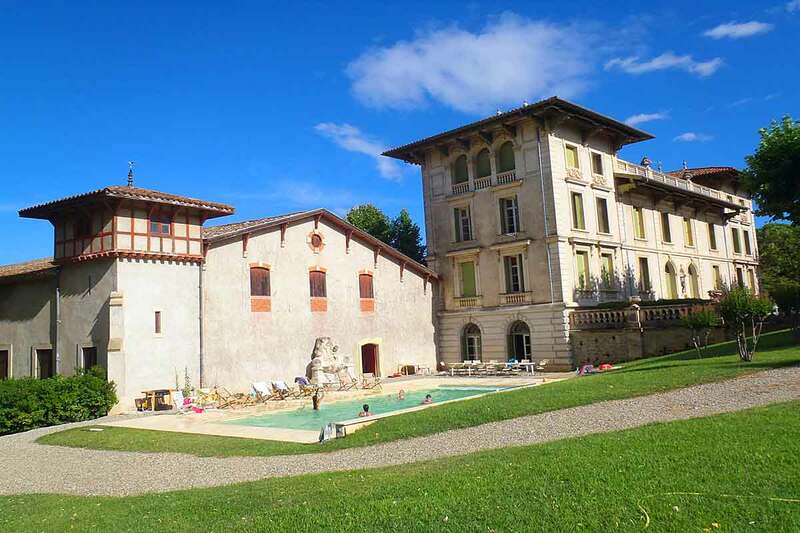 South of France 14th Century Chateau for holiday rentals, beautifully restored, sleeps 13 people and a baby in 7 bedrooms, heated pool, nice garden, Wi-Fi and is 2 minutes' walk to the village centre. Close to Pezenas in Languedoc. Ideal for 2 or 3 families. 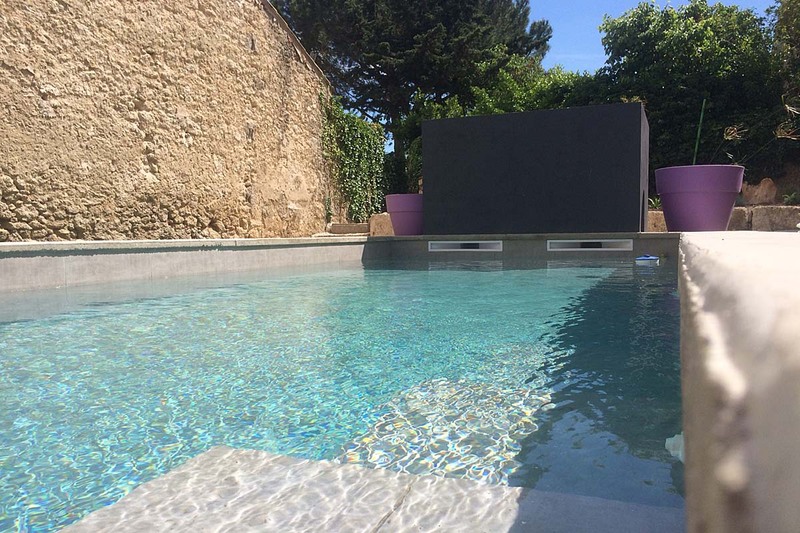 South of France Chateau for family holidays, sleeps 14 in 7 bedrooms, large heated pool, local village just 5 minutes away and 20 minutes from the Languedoc Roussillon beaches and Canal du Midi. Catering can be arranged. 15% off a 2 week booking between 6 and 27 July 2019!!! 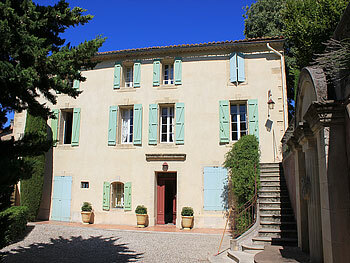 South of France holiday accommodation in a splendid Manor House near Pezenas. 6 Bedrooms and 7 bathrooms sleeping 12. Set amongst vineyards on a 175 acre Estate, with private heated pool, air con, Wi-Fi and just 5 minutes' drive to local restaurants. 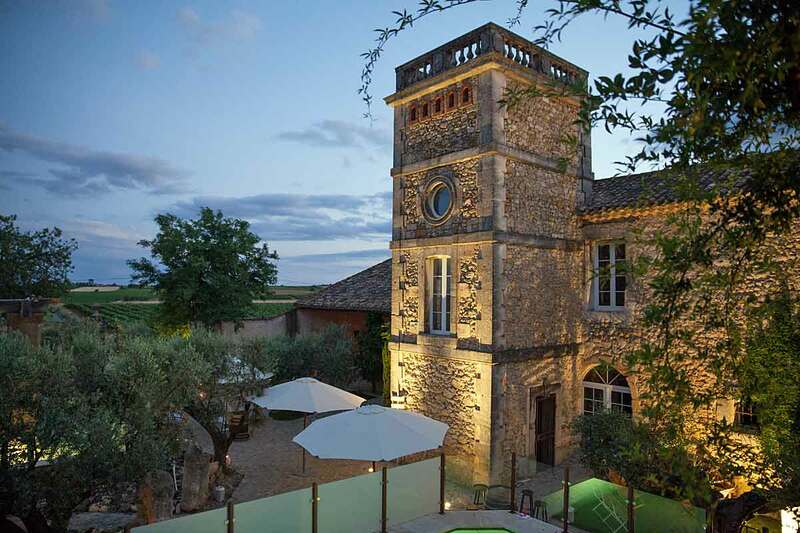 Near Pezenas, South of France an entirely renovated elegant 17th century Château. 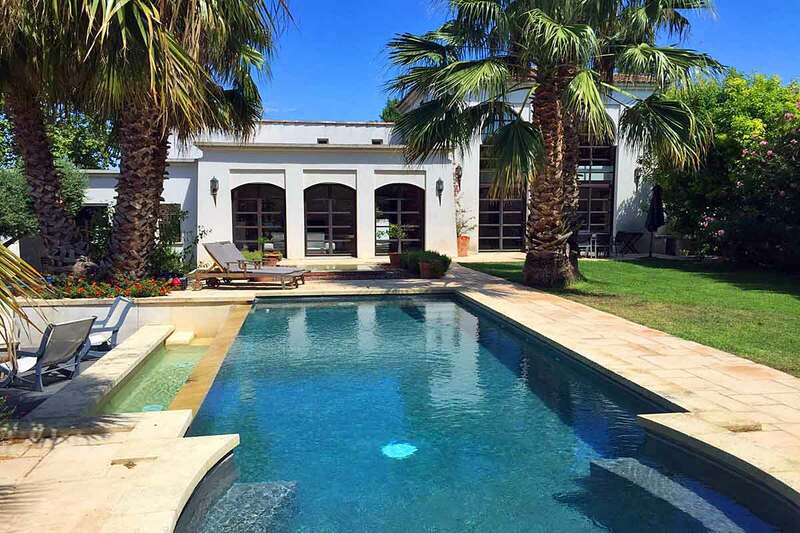 Set in 15 acres of beautiful parkland with private heatable pool & Wi-Fi. 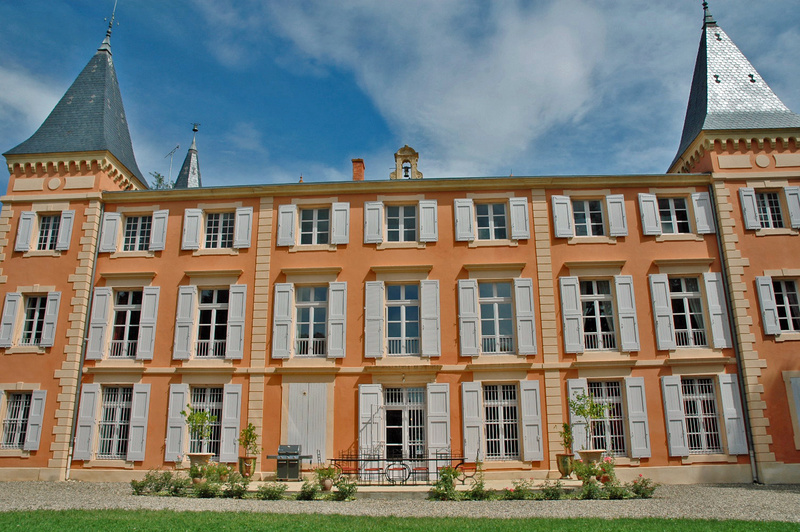 Ideal for weddings and events as the Chateau sleeps up to 20. Featured in France Magazine. 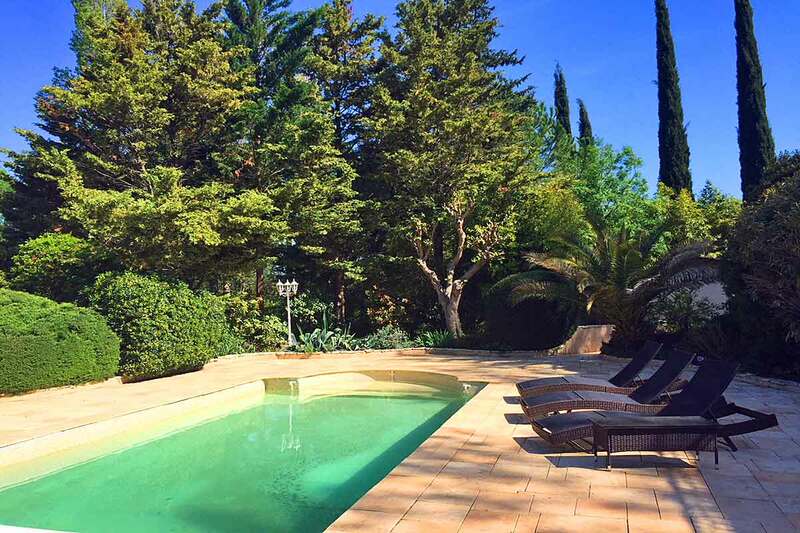 South of France, large traditonal French villa with private pool to rent in Pezenas, walking distance to the town centre, restaurants, bars & shops. 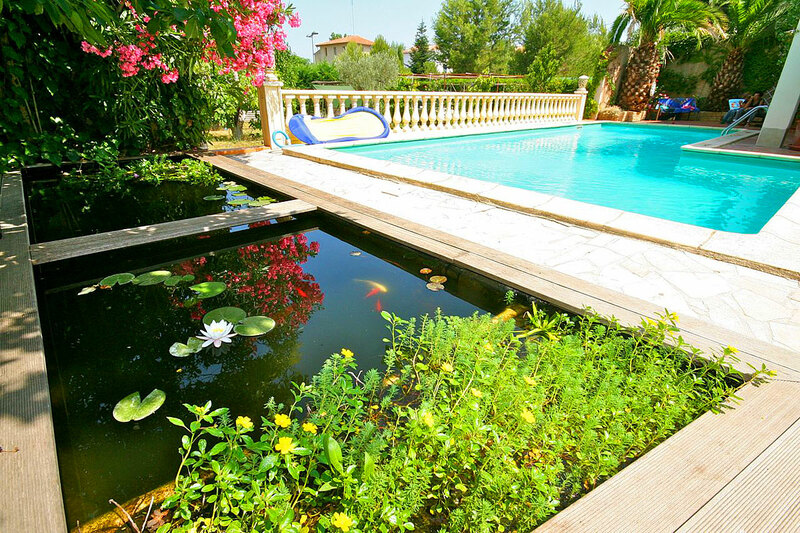 Great for large family holidays as the villa can sleep up to 20, just 30 minutes from the beaches. 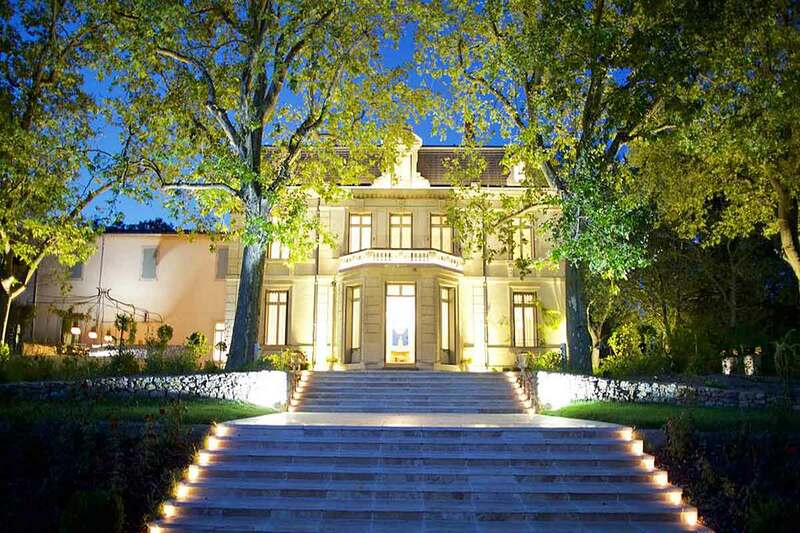 South of France Luxury Chateau specifically designed for Weddings - the perfect location for your Special Day. The setting is idyllic - a private park of 2 hectares, 10 bedrooms and a Reception room to seat up to 300 people. Holiday Rentals and Corporate Events also welcome. Now taking bookings for 2020! 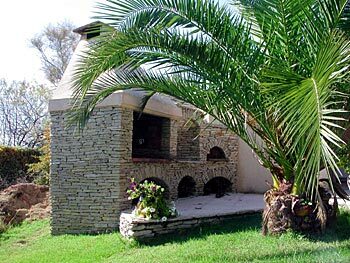 South of France large holiday rental in a converted Wine domaine, 2 villas close to the Languedoc beaches and Canal du Midi. Ideal family accommodation with private fenced swimming pool, plus an above ground pool and fabulous views over to the sea. 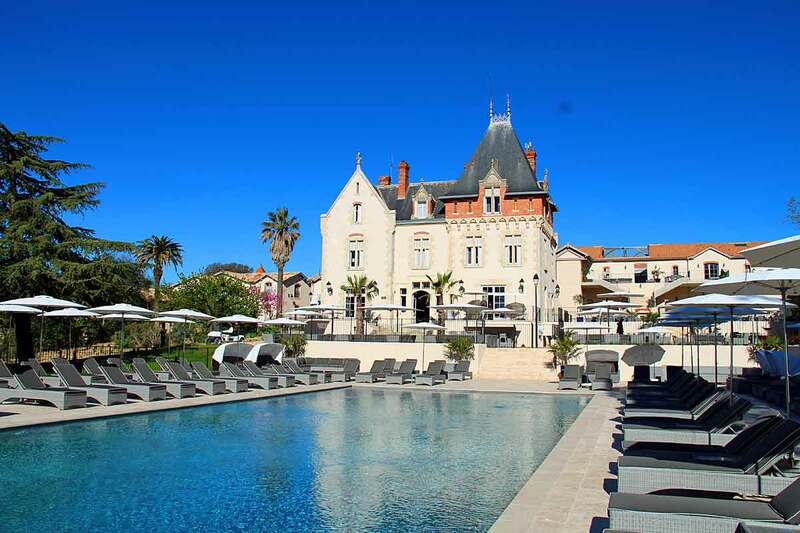 Fabulous large Domaine in the Languedoc Vineyards, the perfect setting for a South of France wedding or large family holiday. The whole domaine sleeps up to 24. The converted stone farmhouse offers an authentic and romantic setting. 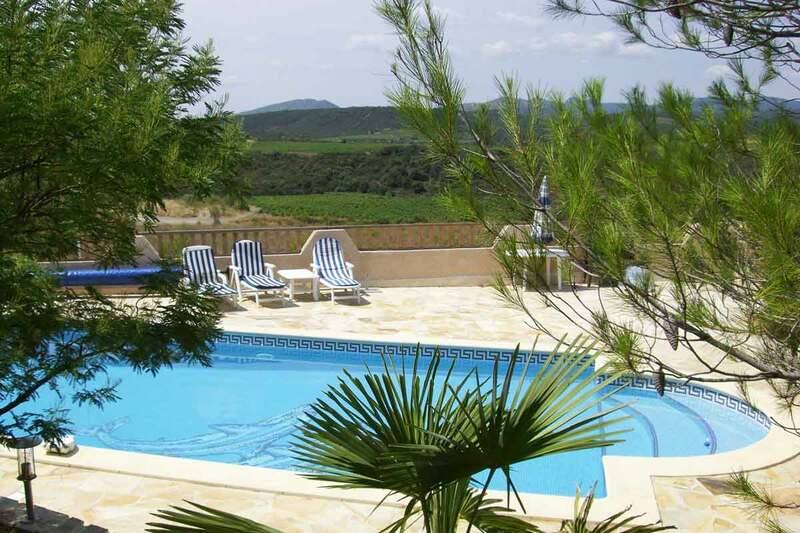 There are 3 pools, 2 of which are heated, 20 minute walk to the village and 25 minutes to the Languedoc beaches. Friday arrival/departure. Ideal Wedding Venue. 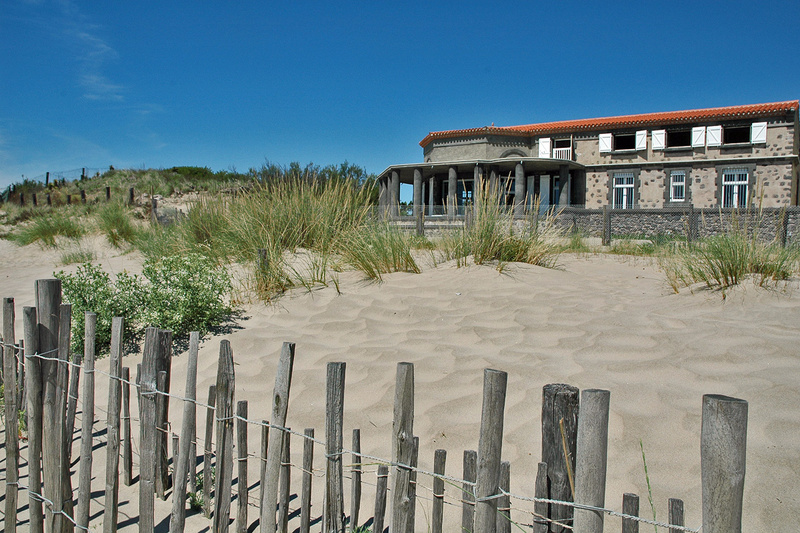 In Languedoc, South of France near Marseillan, a large beach-front villa, sleeping from 12 to 24. Selected bedrooms have Air-Conditioning. The interiors boast spectacular sea views and dunes, with a gate opening onto the beach. 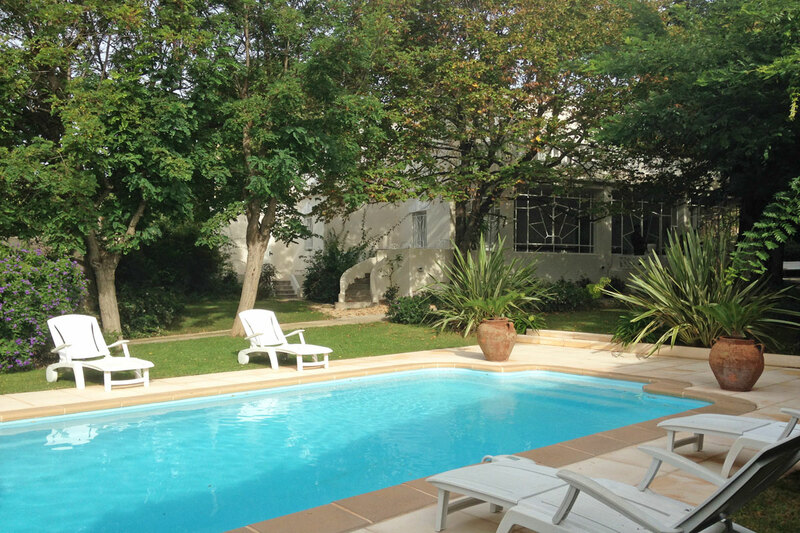 This villa is only 30 minutes from Beziers airport. Sunday to Sunday arrival/departure day. 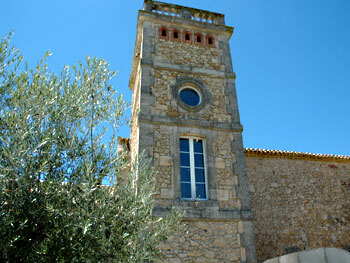 Large South of France Domaine, set amongst vineyards, near a village close to Beziers, Languedoc. 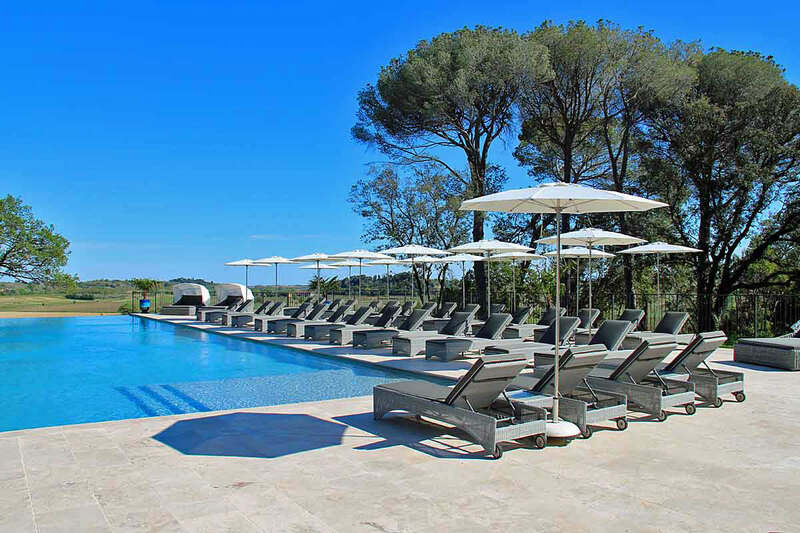 Sleeping up to 41 people, so perfect for a South of France wedding, 7 charmingly renovated houses on an 8 hectare Estate - a lovely calm environment with a huge 24m x 6m infinity pool and second small pool with the Orangerie accommodation. As featured in Country Living Modern Rustic Magazine.